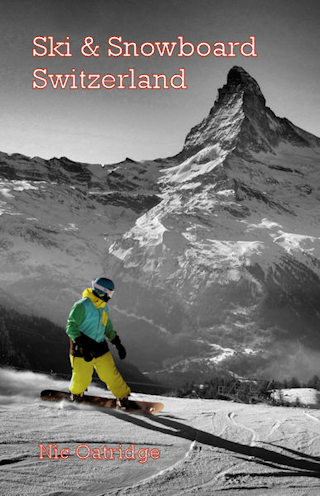 andlocked within the landlocked nations of Switzerland and Austria, Liechtenstein hosts one tiny ski resort, Malbun. It is a spectacular drive from the motorway at Sargans in Switzerland, or about 30 minutes by bus from Valbun, Liechtenstein's capital (itself 30 minutes by bus from Sargans station). 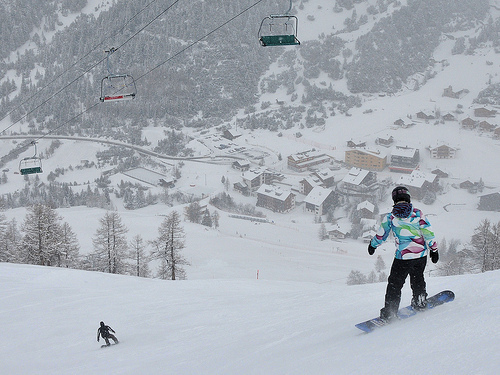 There is a good range of skiing from nursery slopes through runs of increasing difficulty, including one short, steep black and some off-piste. There's cross-country skiing in nearby Steg and toboggan runs and winter walking trails in Malbun itself. 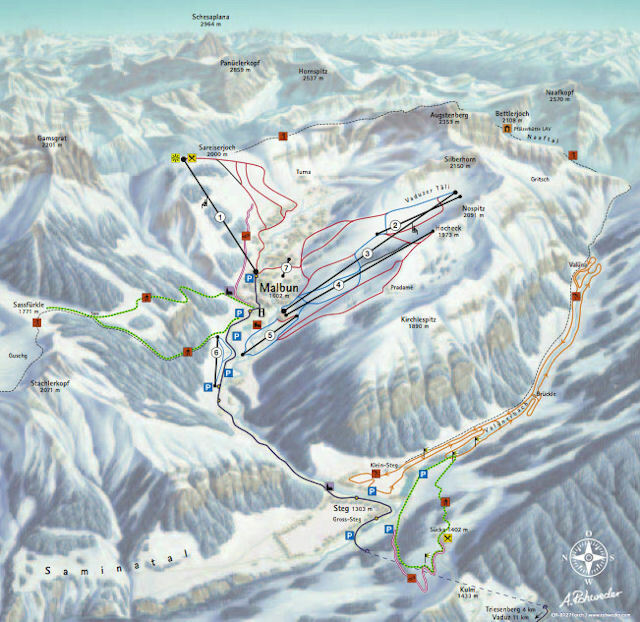 The best destination to access the downhill slopes by public transport in this ski area is Malbun, Bergbahnen. Bus stops adjacent to chair lifts. From Basel the least travel time is 2 hrs 52 mins with as few as 2 changes going via Sargans / Vaduz, Post. The road distance from Zurich is around 118 km and the journey time is roughly 1 hr 35 mins. The road distance from Basel is around 202 km and the journey time is roughly 2 hrs 25 mins. $$$ Family Hotel Gorfion, Malbun Ski-in, ski-out Family Hotel.